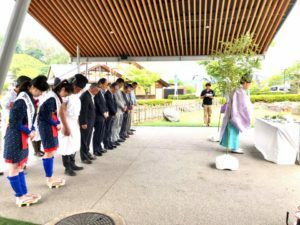 1 Asami Sudo, 2018 Miss SAKE, and Miss Mayuri Takahashi, 2018 Miss SAKE Gunma, joined a shrine ritual to pray for a successful harvest at Kawaba Denen Plaza in Gunma. 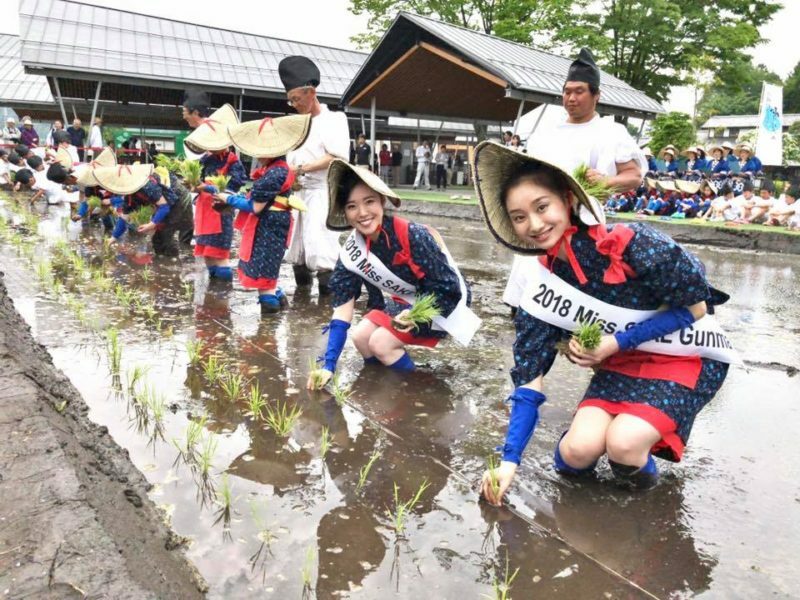 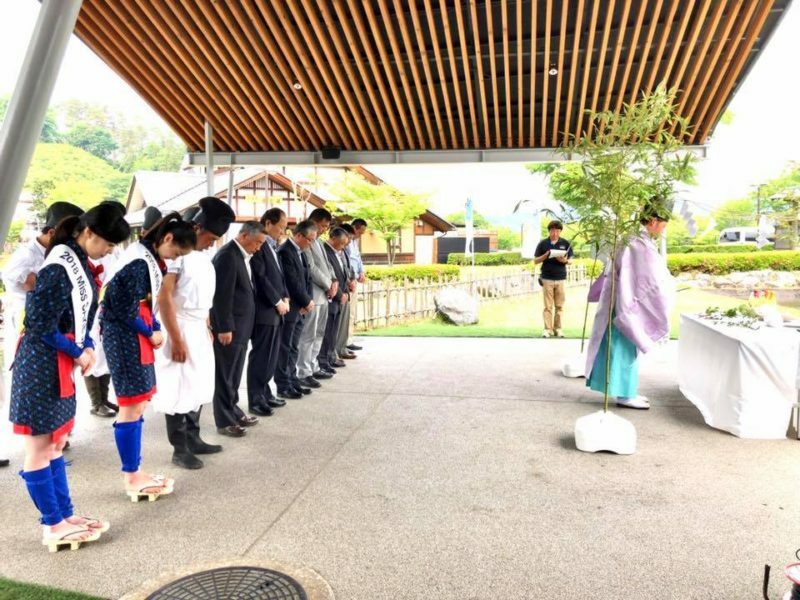 Asami Sudo, 2018 Miss SAKE, and Miss Mayuri Takahashi, 2018 Miss SAKE Gunma, joined a shrine ritual to pray for a successful harvest at Kawaba Denen Plaza in Gunma. 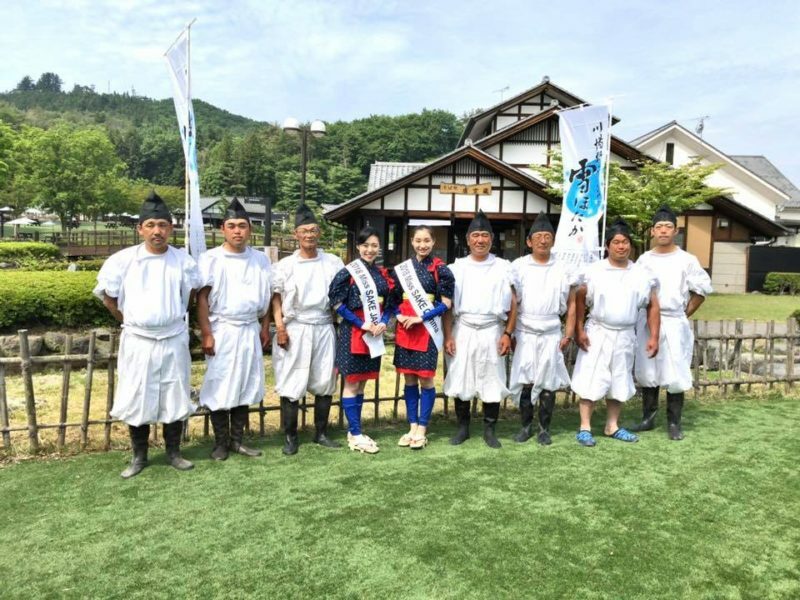 On May 29th, I joined a shrine ritual to pray for a successful harvest at Kawaba Denen Plaza in Gunma, with Miss Mayuri Takahashi, 2018 Miss SAKE Gunma. 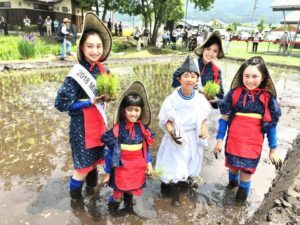 32 local elementary school students got dressed in traditional costumes and joined the rice planting events. 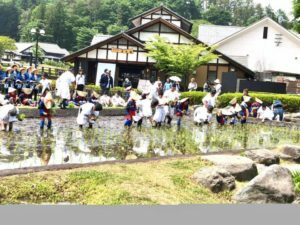 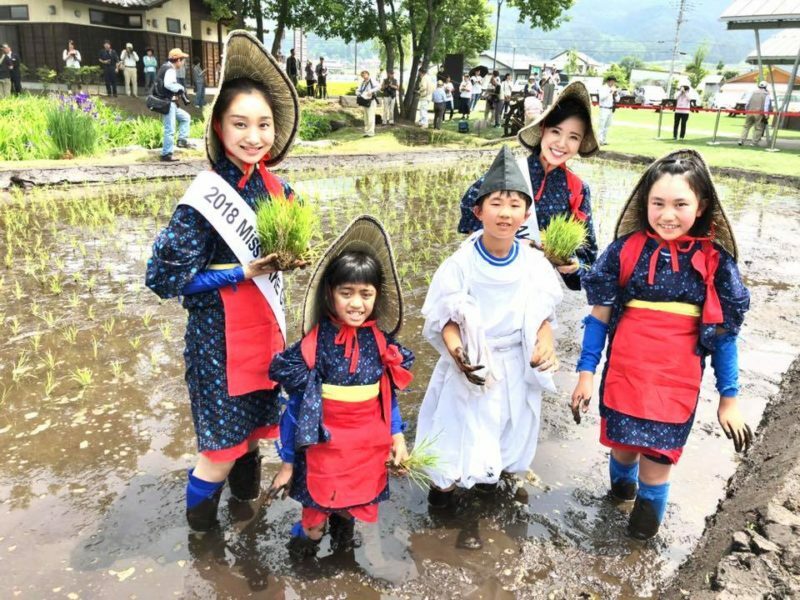 The rice planted in the event was “Yuki-Hotaka” which has won prizes at the biggest rice competition in Japan for 10 years in a row. 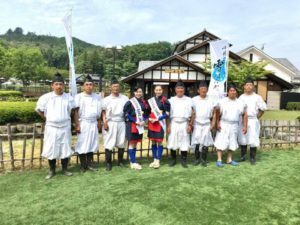 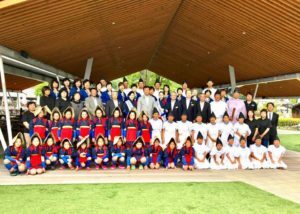 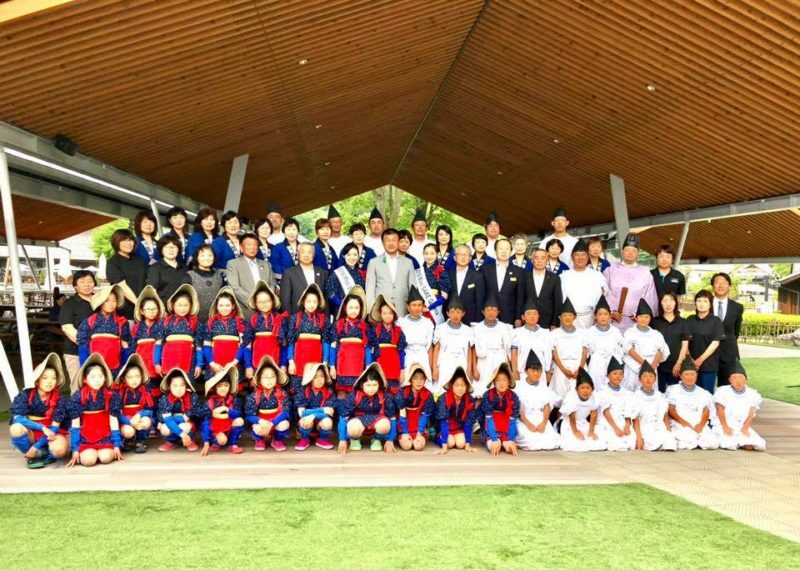 Before the event, Mr. Kobayashi, the president of “Yuki-Hotaka” company, told the students that they can be proud of their hometown, Kawaba, which has a great natural product, Yuki-Hotaka. 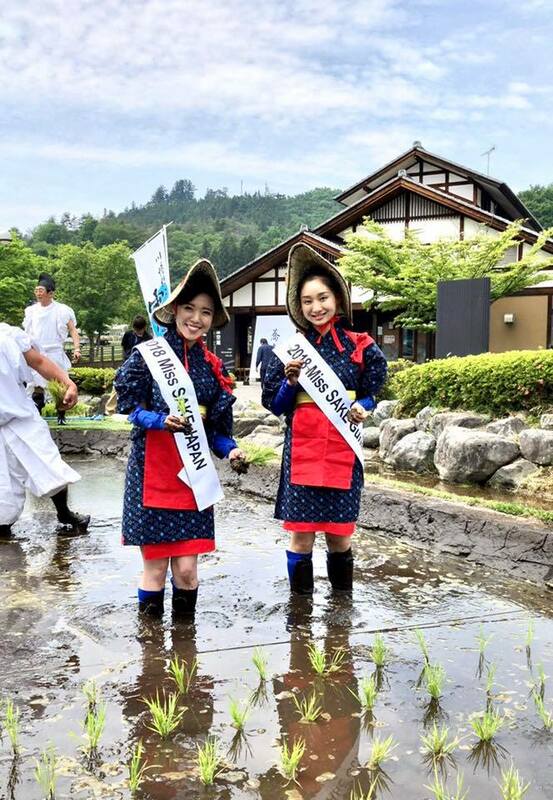 Exactly like the speech, most of what we always eat is nothing but natural products. 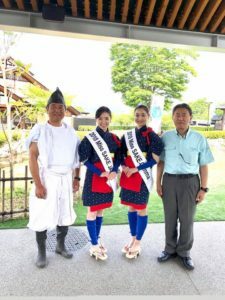 And, it’s because Japan has distinct four seasons at each region that we can enjoy various culture at each local community. By joining the rice planting event, we could once again realize the importance of local community as well as that of local nature.